A pregnancy may be unplanned, but a child is not a mistake. Women who become unexpectedly pregnant can face overwhelming difficulties, and keeping a child may seem impossible. Katie's Way offers love, compassion, and practical assistance to women in crisis. Where others see a mistake, an obstacle, or a burden, we see a unique, beautiful, and precious child. We are a community that believes all children deserve life, and all mothers deserve the dignity and joy of motherhood. Katie's Way is not affiliated with any particular religion or political group. We welcome all who are in need and all who wish to help. Katie's Way operates on Long Island, New York. We currently provide essential baby items such as food, clothing, diapers, car seats, strollers, etc. If you are in need of baby items, please submit a request. We are a growing organization, and our future goals include assisting women with housing, daycare, healthcare, and education. "I got pregnant at the age of 21, unwed, young, and with a minimum wage job. All my options were laid out in front of me, messily. To keep, adopt, or abort. I knew abortion wasn’t a choice for me, but it crossed my mind. Abortion would’ve been the easiest route; I could’ve gotten rid of my son like he was just an insignificant flu symptom. I had health professionals insisting I have an abortion and that raising my child was simply something I couldn’t do at this point in time. Abortion was convenient, but I rejected the idea. I had no support, but I stood my ground to keep and raise my child; I chose to continue my baby’s life, what I believe he should inevitably have the right to. Abortion is chosen everyday by women, unwed and even younger than I, with health professionals everywhere promoting this idea that abortion should be used as a form of birth control. You made the ‘mistake’, now lets abort the ‘consequence’, is what I hear when these professionals are telling confused young women that abortion is the most logical choice. I don’t believe my son was a mistake; maybe unplanned, but that is no reason to kill the unborn child growing inside me. A mother creates a bond with her baby, a strong, indestructible bond when the two are connected. However, pregnancy is terrifying when your future stands uncertain and a little shaky. I had wondered if I could give my baby everything he needed and if I was enough. But I like to believe I soared through the fog, despite the odds going against me. The aftermath of keeping my pregnancy was not a disaster, although it wasn’t easy. No trees fell on top of me nor did the earth break in two; I just had my son. Seven pounds, 3 oz, born on January 22, 2011. His birth and the anniversary of Roe v. Wade had fallen on the same day. Coincidence, or perhaps a sign? My son is the opposite end result of an abortion. A situation may not be ideal, but its no cause for the termination of life created. My son is healthy, happy, and a little chunky. He's rebellious and lives to be the center of attention. If I had aborted my child, I wouldn't have known any of this. I’m not debating that women who get abortions are scared, confused, and ashamed, just as I was, but that doesn’t justify abortion. A woman could be poor or homeless, or have a medical or mental condition, but that is to no fault of the child growing in her womb. I plan to go to the March for Life next year on my son’s second birthday to show everyone the beautiful outcome from not choosing abortion. Nonetheless, as a single mother, I'm still fighting to swim through the waves, not letting me or my son go under. It’s neither easy nor pretty all the time, but when you see your child reaching his arms out to you, it all seems worth it." One month after writing these words, Katie's life was cut short by an act of senseless violence. Hundreds of people in her community, inspired by the tremendous love that saved her son's life, came together to support her son and create a lasting legacy in her name. Katie did not make it to her son's second birthday, but her supporters brought her son to the March for Life to fulfill her wish. 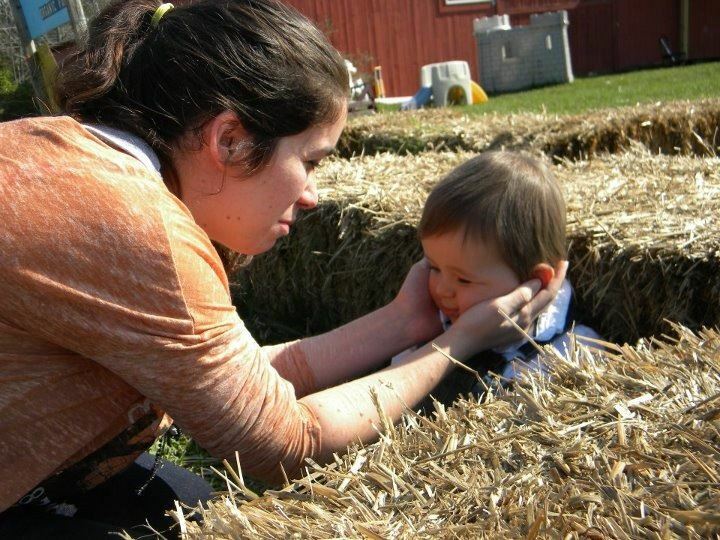 Her son continues to be the "beautiful outcome" made possible by Katie's love and courage. We now extend that same love to all mothers in crisis, so they too can experience a beautiful outcome. Click here to read Katie's entire essay, along with a preface by her twin brother.